Home technology viral news FACEBOOK, person who created a Like Button on Facebook will be amazed at seeing something like this. FACEBOOK, person who created a Like Button on Facebook will be amazed at seeing something like this. You will be amazed to see who has happened for the first time.The person who created the Like button on Facebook delete the app from his phone. here is no need to tell you why the likes of Facebook are so important. Counting the likes of a day has been included in the daily routine by adding photos or posts, but do you know that the person who created the Facebook Like Button has deleted the Facebook app from his phone. 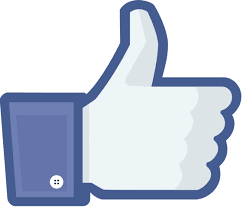 Justin Rosenstein is the engineer who created the Facebook Like Button in 2007, but today he is scared himself. According to him, the Facebook app is very dangerous, making the people of the world mentally ill. The 34-year-old Justin has made the distance from Facebook along with Reddit and Snapchat. He has created a time table for how long an app will be spent on it. He has become so envious of social media that he has ordered the new iPhone Assistant to not download any app in his phone. According to a report of the year 2016, young people are spending most of the time on social media and for this reason they are also victims of depression. You will be amazed to see who has happened for the first time.